When G-d created the world in the six days of creation, G-d said at the end of each day, it was good, except for Monday. That was because on Monday, the bottom waters, ocean and rivers where separated from the top waters as well as the heaven and atmosphere. Since there was division, this could not be called, as good. If this is true in a splitting up, that was done for the benefit of the world, how much more so when an argument brings misunderstanding and discord, this is certainly not good. Argument and fighting are considered so severe, that while the tribunal in heaven punishes those over the age of 20, and a tribunal here, judges a person at 13, when it came to the squabble caused by the nephew of Moses- Korach, even little children where punished. Argument is the byproduct of an over inflated ego, where one person is unable to tolerate another person, for no other reason, but that the other person has an opinion different than his own. Unity is possible when one can see and respect life from the opposite spectrum of where he finds himself at this moment. The power of impurity found in quarrelling is so great that arguing fighting, and quarrelling dulls the vision and mind of even the greatest people, and takes away from them common sense. An argument that is for G-dly purposes and is intended for purely positive and constructive intentions is guaranteed to bring positive results, but when the arguing is for personal ego purposes, it never brings any good. How can a person know what the real motivation is to his arguing? We must judge the way we feel towards the other. If we can love him entirely, not withstanding the disagreement, it is most likely for good intentions. The Talmud says that when discussing the Torah, people can appear as fierce opponents of each other, yet they bear no hard feeling for each other, and in the end, they reconcile. The house of Hillel and Shamai intermarried and lived peacefully with each other even though they strongly disagreed with each other in most opinions. Peace is so great that regarding idol worshippers who live peacefully G-d says, it’s as if he can’t touch them. There is a Chassidic saying, better to be with friends in hell than to be all alone in paradise. In the generation of King David, although his soldiers where great men, they would fall in battle because of the arguments they had with each other. While in the time of the wicked King Achav, they succeeded in battle because there was unity. A house of argument will eventually be destroyed. Before Jacob passed away he said to his children, “Gather and I will tell you what will happen in the end of days”. He was telling them, to make sure they where always gathered together and that would prepare them for the end of days, the ultimate good. When a person is tempted to argue, he must consider what he is arguing about and whether it is worth it, since argument is such a serious initiator of major evil. Rabbi Ilo-o said, that the world exists in the merit of a person who closes his mouth during an argument. Some people have this crazy idea, that if they complain all the time and show a sour face to everyone, somehow the world, or someone, will notice, and take pity on them, and grant them their desires and more of what they’re craving for. If G-d forbid, they appear grateful and thankful in their minds, they figure, people may make an error that all is good, and then they will miss out, if anything is ever given out. Firstly, no one is giving anything out for nothing, so you can keep on waiting for a long time for that hand-out and in the interim you are living a miserable life. Secondly, who wants to be around sour people all the time. Once during a holiday, this person had a terrible dream where his deceased teacher told him, that one of his children would pass away. Initially, he was very concerned and started to weep, but because it was a joyous Holiday, he forced himself to be happy and be thankful for all the good that G-d has done and continues to do. Later on, his Rebbe told him. “The joy you forced yourself to have, notwithstanding your fears, in heaven, this is what erased and removed the evil decree that was placed against you”. 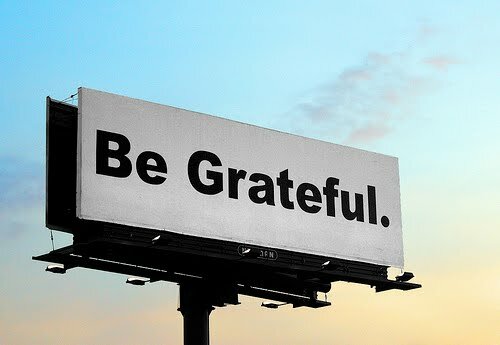 The bible instructs us to be grateful and praise G-d for every breath that we are able to take. Recognize that every millisecond is a gift, and you are never guaranteed the next moment, and when you are granted this next moment, someone has just granted you a gift. The book of mysticism tells us, heaven is a reflection of how we act and behave in this world. If a person is depressed, this triggers above, a hopelessness and despair towards the person. While, when a person is in a joyous mood, content with his lot, in whatever situation he finds himself to be in, this actually improves his situation that things should become improved and truly better. G-d is pleased and happy with this person. This is true even before the person realizes the ultimate good that they are hoping for. When a person speaks and acts in a way of joy, acceptance, and happiness, this actually improves the situation that it should and will, become so. There is no reason for a person to create and innovate grounds, and rationale for the negative, because this can be a reason why the good will actually not happen. There was a great teacher - the preacher of Mezritch, and every time he came up with a new thought to explain his studies, he would immediately bring it out in speech. He appreciated this law, that by bringing his thoughts into physical speech, they would be no more ephemeral in the world of thoughts, and by speaking out his words, this would draw the thoughts into this physical world. This rule also applies for the negative. When a person verbalizes his negative thoughts, this draws down and makes the thoughts that where in a spiritual and transient world, a faster reality in this physical world. Even thinking negative is harmful. We know this from the saying; think good and it will be good. Thinking, is the power of thought that initiates the first spark and the trigger that sets off and activates a new reality, good, or G-d forbid bad. For those who feel they are not able to control their thoughts, the secret is to encloth and capture their thoughts in G-dly positive and upbeat reflection, especially those that emanate from the Bible like those that come from the book of Psalms – Kind David, the sweet singer. In the Holy book of the Tanya, he writes that the only way one is able to be victorious over the evil inclination is with enthusiasm and joy which is not tainted by any worries or sadness. He compares this, to two people fighting. Even if one is naturally stronger, he will be defeated by the weaker one if he lacks joy and enthusiasm. The G-dly inclination inside every person is the spark of G-dliness, and is compared to light. A small quantity of light can chase away much darkness, but the person must be happy and joyous. I didn’t say that he must enjoy himself, I said, he must find joy in his life. The spirit of internal strength that comes from one spark of G-dliness does not rest on someone who is sad or downhearted. The book of the prophets tells us a story, that when Elisha became angry at Yehoraam, the king for his wicked ways, the spirit of prophecy left him. It was only after music was played for him, and his moods were lifted, that his spirit of prophecy returned. In the book of mysticism, the Zohar, it says there. The way we act here in this world, is the way we are dealt with from above. When a person acts in a happy, joyous, relaxed, and open mind-set, G-d will deal with him in the same way, in a happy and joyous way. Once, a great Rabbi crossing over a bridge in Danzig saw a man struggling to save himself in the waters below. Seeing no way that he could save the fellow, he called out, “send regards to the big fish at the bottom of the river”. At that moment – G-d came to the mans' aid, and the fellow was able to catch onto a plank of wood and save himself. The Rabbi later explained, that due to the mans broken spirit, he could not be helped. “When I made that foolish funny comment – in that moment of distraction, he was able to save himself with the power of the joke”. A person should try to keep himself occupied with things to accomplish, that he doesn’t have the time to think about his sadness. When the evil inclination comes to a person and tries to persuade him with all kinds of foolish arguments that he has every reason to feel sad, the person must respond without entering any logical arguments, “you are bad and trying to trick me, even if what I did or who I am isn’t perfect, I have an obligation to always be happy”. The bible commands us to build a sanctuary, so “I will dwell in THEM.” It doesn’t say, so I will dwell in it, but I will dwell in them. From here, we learn what our sages tell us, that everyone has the potential of having G-d dwell in them, if they make a sanctuary out of their lives. In the same way that G-d dwelt in the sanctuary made of physical vessels transformed to His service, is the same way with each person. By dedicating our every day, mundane living for a spiritual G-dly purpose, we make our lives a vehicle for the presence of G-d in our lives, and where there is G-d, there are blessings and miracles. One of the major elements in building the tabernacle where the beams, made of acacia wood. In Hebrew, the word for acacia wood, is related to “foolishness”. In other words, it was out of foolishness that the walls of the sanctuary where formed. The middle road – which Maimonides tells us, is the one we should travel on for the most part, and for most people, is the one that is dictated by logic and rational thinking. 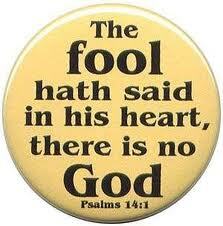 Foolishness, is a turn away from wisdom and rational logic, and there can be two sorts. A plunge below logic where a person acts in a way that lacks proper logic – negative foolishness, or a turn exceedingly greater and superior to accepted logic - Holy foolishness. The Talmud tells a story of a great sage who would juggle at weddings to add joy to the groom and bride. Not everyone was happy with what they saw, as a minimizing of the respect, due to people in scholarly positions. When this Rabbi passed away, there was a pillar of fire that separated him from the rest of the people. The sages attributed this disconnection and division from the rest of the people “because of his foolishness” in separating himself from the crowd for the good, when entertaining at weddings. Holy foolishness is when a person breaks from the regular accepted ways and spiritually elevates himself in a way that doesn’t necessarily follow a line of logic. He doesn’t serve G-d limited to the ways that are only influenced by logic, but he goes further in his zeal, commitment and dedication. If there was no such thing as negative foolishness, we would always be instructed to focus on the middle of the road. However, because every once in a while a person may stumble into doing negative foolish acts, we must find a remedy to this. Maimonides suggests, that a person whose pendulum has swung to the negative, must now take the opposite extreme in the positive direction. The walls of the sanctuary in every person’s life is made of people who stumbled, but realize that through Holy foolishness, one can not only redeem themselves, furthermore, they become the dwelling place for G-dliness. There is an expression, “that in the place where people who rehabilitated their lives stand, even people who where righteous their entire lives can not stand there”. By going the extra mile in being kind and giving even when sometimes it defies logic, there is where G-d is invited to dwell. Jail, the Bible and a fool. The bible speaks of a person who killed someone accidentally. He must exile himself to one of the cities of refuge and there, he was protected from the avenger of blood. In the bible, there is no such punishment as jail. There is a temporary holding while waiting for punishment, however, jail as a punishment does not exist. The Torah (Torah in Hebrew means instruction and guidance) – Bible, is a Torah of Life and a Torah of Kindness, in a true sense, there is no punishments in the Torah. What a person receives when making wrong choices is a form of remedy and setting right, the bad choice that was made, life must continue stronger and better. Therefore, no one has a right to restrain and hold back a person from carrying out his purpose in this world. There is no place for sitting in jail, because the possibility to rectify ones behavior and fulfill ones purpose is taken away from the individual for that duration of time.G-d grants everyone a limited amount of time to fulfill his purpose for coming down to this world, and every second is precious in fulfilling this mission and can not be replaced when lost. One of the worst crimes in the bible is murder, and even someone who killed unintentionally, is not held in a jail, he must go to a city of refuge. This punishment of exile as a result of separating the killed person from his family, causes a person pain by being estranged from his loved ones and friends. However, even there, he is provided with all his needs like any free person in a regular city. The Talmud goes even further and says, if a student was exiled, his teacher must follow him, so that the exiled will not loose his chance to continue his studies of the proper path one must follow in life. All the commandments in the bible have a personal lesson in ones spiritual service to G-d. Spiritually in ones own life, there is a scenario of killing accidentally. This happens when someone sins and acts against G-ds will. Since everyone has a spark of G-dliness within, when acting against G-d will, he is “smiting a soul” his own soul – the spark of G-d within. Hurting and blemishing the G-d within. We still consider this accidental, because our sages tell us “a person does not sin unless a spirit of foolishness entered his mind and heart”. Only someone not in the right frame of mind would hurt their own selves. Although his act against his own source of life, his soul, was done in foolishness, he is nevertheless not exempt from punishment, because he is guilty of not stopping his foolishness from festering inside himself. Had he not entertained the foolishness, it would never have taken hold in his life and influenced him to the point of acting against his own interest. The avenger of blood, in this case, the prosecuting angels have every right to seek justice unless the person takes refuge in the cities of refuge. In the Bible, a person would have to bring a sacrifice for transgressing a sin accidentally. The question is asked, why does he need any forgiveness when it was accidental? One of the answers is, that he is guilty of not studying and knowing that what he was doing was wrong. Spiritually, the city of refuge counters the foolishness of the animal inclination within, and this is the study of the ultimate wisdom in G-ds Torah (instruction book) and its commentaries when taught from the proper sources. We are told that without the proper direction, a person can sometimes be within the law and yet be outside the intent and spirit of being protected by the cities of refuge. A person can not rely only on his own mind all the time, and sometimes, he must rely on a wisdom that is greater than his own.